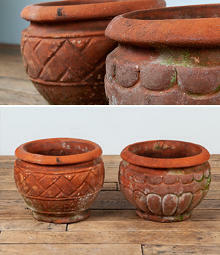 British gardeners have a wonderful tradition of finding new and interesting containers for plants. 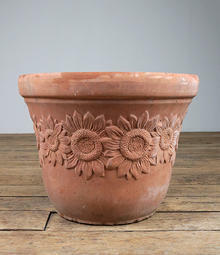 We probably sell more planters than any other garden item. 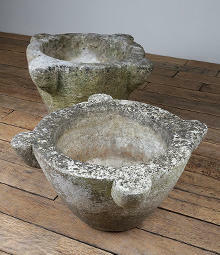 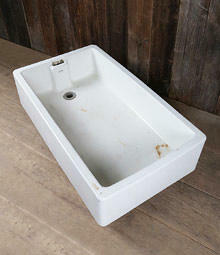 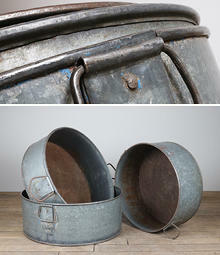 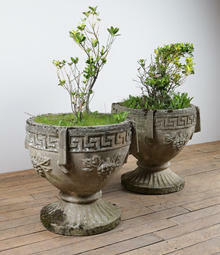 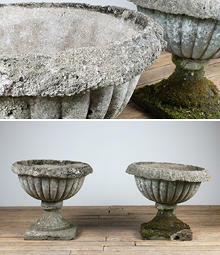 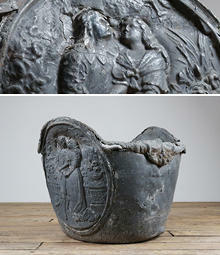 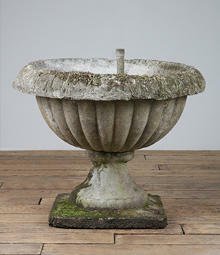 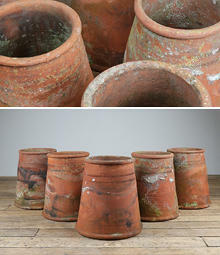 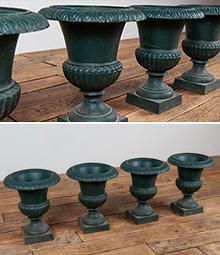 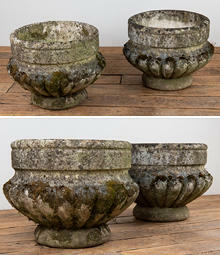 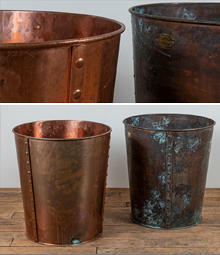 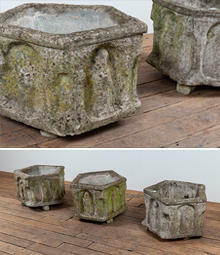 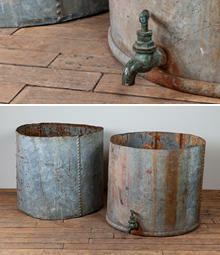 These vary from the humble vintage flower pot, to massive cast iron cauldrons, re-purposed from previous industrial use. 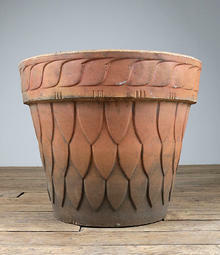 Other types of planters that we have for sale include elegant antique French cast iron planters; weathered old composition stone planters; ancient stone pots; old rivetted galvanised tanks in all shapes and sizes; lead planters and rare Georgian lead cisterns; the strangely named 'copper coppers'- rivetted old copper water boilers; weird and wonderful chimney pots in hundreds of different designs; old hayracks, which customers often use with liners to grow plants on walls; hanging baskets; old Victorian wirework; and the list goes on and on. 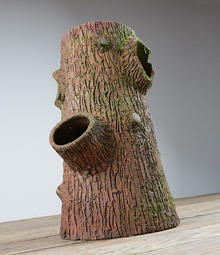 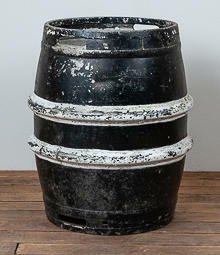 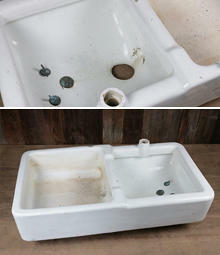 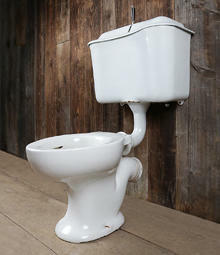 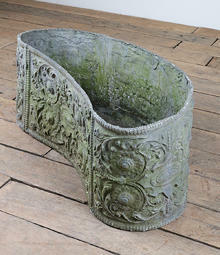 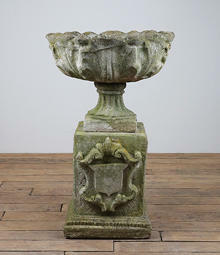 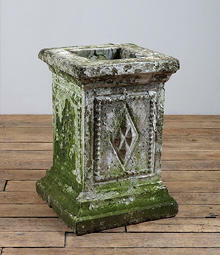 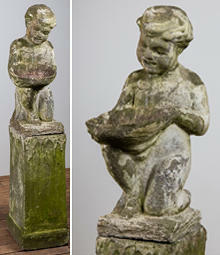 Each year we find more unique planters, ancient, old, vintage, agricultural, industrial, classical and just plain wacky.